Have a dead battery? Misfiring starter or alternator? 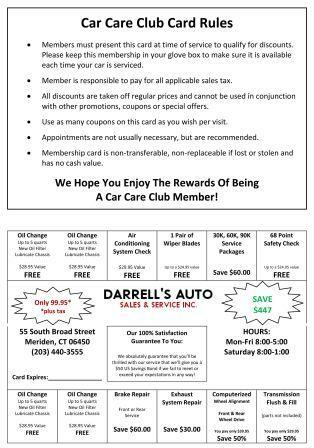 For all of your auto electrical repair and maintenance needs, come to Darrell's Auto Sales & Services in Wallingford, CT 06492. We service your vehicle with care, providing a high level of workmanship you can trust. An alternator is an automotive device that converts mechanical energy to electric energy (ac). Alternators are important parts of your car's engine and their failure would translate to your car's failure. When your car's alternator develops problems, seek expert help. 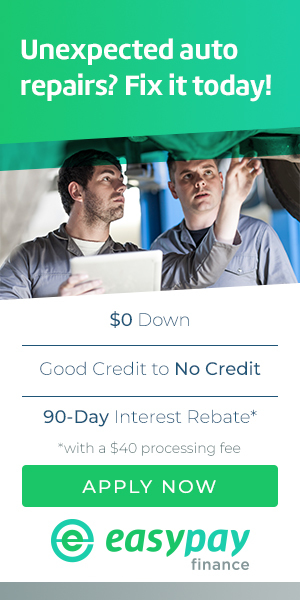 At Darrell's Auto Sales & Services, we have experts who can handle all your alternator needs to get you back on the road - quickly. Visit Darrell's Auto Sales & Services today. The battery supplies electric energy which powers the ignition system, the starter motor, and the lights of an automotive. If you need to jump-start your vehicle in the morning, your battery could be failing. When a battery starts deteriorating, it can either be replaced or repaired - this will depend on the severity of the damage. If you are having issues with your car battery, contact Darrell's Auto Sales & Services in Wallingford, CT. We provide a convenient battery testing and replacement service to get you back on the road. Battery replacement, charging, installation, testing, and recycling - we handle it all. A starter is a motor (electric, hydraulic or pneumatic) that rotates the internal combustion engine to initiate the engine's operation. Starters are important parts of your car's engine and their failure would translate to your car's failure. When your car's starter develops problems, seek expert help. At Darrell's Auto Sales & Services, we have experts who can handle all your starter needs to get you back on the road - quickly. Visit Darrell's Auto Sales & Services today.